The Kenworth Trucks T359 prime mover is proving a viable contender in a market generally dominated by Japanese short haul trucks. Matt Wood took one for a run around Melbourne. The Kenworth T359 prime mover. On seeing the new Kenworth T359 prime mover recently acquired by Melbourne-based WFL Transport, my first impression was that it was, indeed, a bit cute. 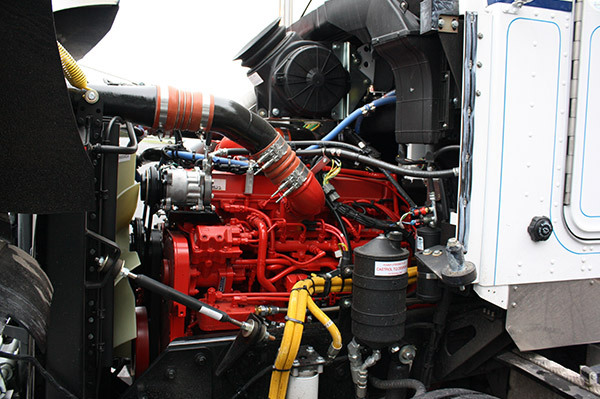 Kenworth’s down-and-dirty model, the T359, is experiencing increased popularity in line with its vocational roots. With a pedigree running back from the T300 to the cabover K300, the T359 is surfacing in all manner of guises, from agitators and concrete pumps to waste and recycling, and even car carrying. While it often operates in the shadow of the road train and highway prime movers that tend to be at the forefront of the Kenworth badge, this baby Kenworth is showing versatility not often found among its bigger brothers. This is no mean feat, considering the fierce competition in this sector of the market; one that is often dominated by Japanese manufacturers who have proven more than competent in putting together tough, ergonomic, value-for-money vocational platforms (though it’s doubtful any of them have ever been called ‘cute’ either). 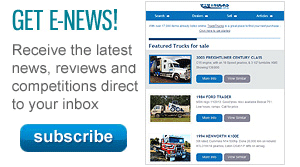 Since most of the competition is on a cabover engine platform, the snub-nosed conventional at first appears to be a surprising, if not unlikely, competitor among its more utilitarian counterparts. But with its light tare weight, a short bumper-to-back-of-cab (BBC) measurement of 2,695mm and the availability of a twin-steer configuration, maybe it’s not that surprising that Kenworth is maintaining a presence in this part of the market. The ability to custom-build the vehicle virtually from axle to ashtray along with Kenworth’s reputation for durability and resale value only adds to the overall package. The Kenworth T359 4x2 offers 260kW (350hp) of power and 1,410Nm of torque at 1,300rpm thanks to its 8.9-litre Cummins ISL engine. WFL’s T359 has an Eaton UltraShift 13-speed Road Ranger transmission behind the new ADR80/04-compliant Cummins ISL engine. Given the tasks that models like the Kenworth T359 are usually engaged in, Allison’s range of torque converter-based transmissions are a common choice of auto. When asked about his decision to order the new self-shifter, WFL transport manager Rob English replies simply: "One drive and I was sold." "The improvement over the older AutoShift is amazing in terms of how the gearbox responds to load from the engine as well as road and traffic conditions," English continues. The ability of the UltraShift to skip shift to the most appropriate gear for the road and load seems to be winning the new cog-swapper some big fans. The introduction of the original AutoShift almost a decade ago saw an initial flurry of interest from operators, but while the AutoShift retained some staunch devotees, some operators drifted back to the traditional gearstick. They cited a multitude of reasons for moving away from the auto, one of the most common of which was the lack of driver acceptance, with many veteran drivers feeling that if you weren’t driving a stick shift, you weren’t really driving. Another concern was that the AutoShift tended to favour some engines and hinder others. Many operators who had a preference for the Detroit brand found the gearbox performed well, while others running Cat or Cummins had reservations about fuel economy and performance. 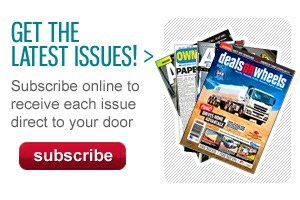 To be fair to Eaton, many of these issues may have been sorted with software upgrades to the transmission’s electronic control module (ECM). For some large fleet operators though, finding the time to play with transmission software on individual trucks became a hassle, leading many back to the manual box. So, given the history, I was more than a little curious to drive both the new EGR/SCR ISL Cummins and the new generation of self-shifting gearbox from Eaton. Sitting in the Kenny for the first time, there’s no mistaking the truck’s pedigree. 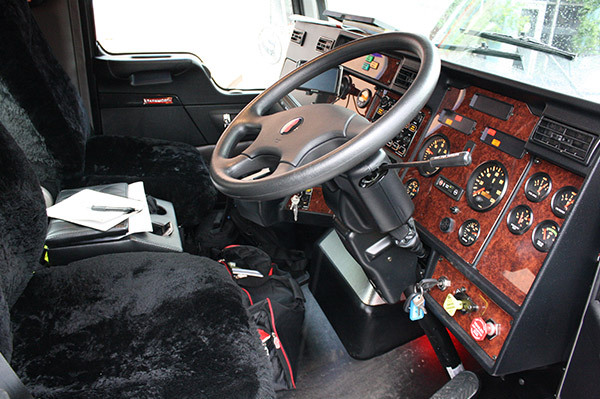 The interior is pure, tried and true Kenworth, flat instrument panels, basic gauges, wood grain-effect and some diamond truck vinyl creating a simple, functional and attractive workplace. Not having a gear lever makes room for a neat dual-compartment console between the seats, complete with cup holders that makes up for the general lack of storage inside the cab. However, anyone who’s familiar with bonneted Kenworths will tell you that, given the cab layout, all is within arm’s reach of the driver’s seat. One thing that did remain an annoyance throughout the day was the angle of the accelerator pedal, which seemed to be uncomfortably steep, regardless of how I adjusted the Kab seat. 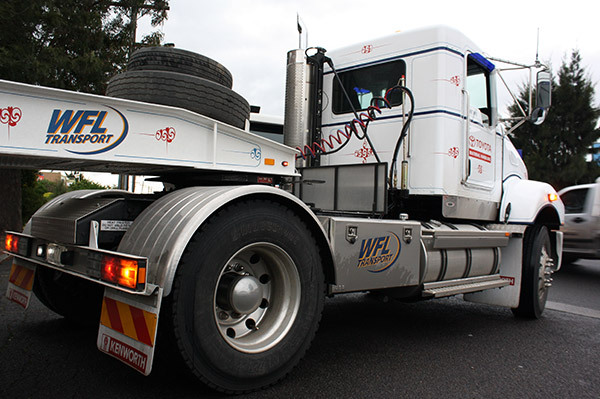 WFL Transport, a division of the Waverley Forklifts Group, provides both contract and casual float and tilt tray hire. 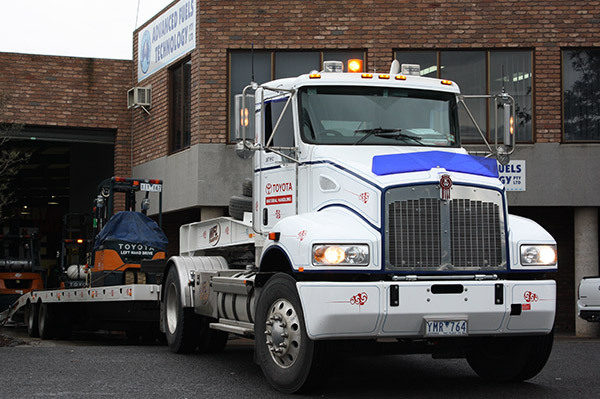 The new T359 is permanently contracted to Toyota Materials Handling and spends its working day carting new and used forklifts around the Melbourne metro area and country Victoria. It’s a typical wet and dreary Melbourne winter’s day when I climb into the somewhat cosy cab of the prime mover. Driver Martin Brown greets me enthusiastically and is more than happy to talk about his new ride. The T359 has been on the road for about three weeks and has notched up around 3,800km and 128 engine hours in that time. Once behind the wheel, and after a couple of pointers, I have to admit to being surprised by both the engine and transmission. The 8.9-litre ISL Cummins, rated at 350hp and developing 1,040ft-lb of torque (1,410Nm), does a mighty job of pulling the tandem axle float, although at this stage we only have a payload of around 9 tonnes. The real star of the show is the 13-speed transmission. After winding our way through the CBD to North Melbourne, I can’t help but be impressed by the UltraShift’s impeccable manners in heavy traffic. The gearbox happily jumps between gears in ‘bottom box’, rarely letting the rev counter climb above 1,500rpm as we start and stop, sometimes coasting at walking pace as the transmission neutralises. However, when action is called for and the right foot needs to be buried, the little Kenworth marches away, letting the revs climb to 1,800rpm between changes, getting the truck up to legal speed with little fuss. One criticism I’ve had of some automated gearboxes in the past has been the drivetrain noise they produce at low speed, often needing driver input to prevent excessive engine revs; and, in warmer weather, excessive engine fan noise. Neither is apparent here, as the box seems to intuitively grab the right gear most of the time without any of the abovementioned noise and drama. Very occasionally, the gearbox would be tricked by an uneven road surface, but in most cases it would sort itself out quickly without any intervention required. The only gripe I’d have is the harsh clunk the transmission made when jumping from low range to high range. On a relatively flat surface or with a light load this was negligible but under heavy load it became more pronounced. While it was something of an annoyance, it didn’t affect the performance of the gearbox. This particular truck replaced a single drive T300 motivated by a 3126 Cat, and backed by a 9-speed Eaton box. Brown, a driver with 25 years under his belt, laughs when I ask him how the two vehicles compare. "There is no comparison," he replies. "The other truck was a good little truck but it was very noisy; this one’s so much quieter and easier to live with." If first impressions are anything to go by, I can’t help but agree. 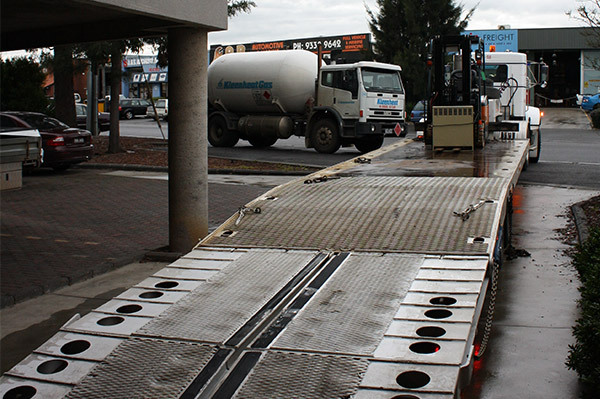 After making a couple of deliveries, we loaded up in Tullamarine, leaving with three forklifts on board, giving us a payload of 15 tonnes, not far from the single drive’s legal limit. This gives me the opportunity to play with the little semi in heavy traffic with a bit of weight on the back. So, late in the afternoon on the seemingly endless construction zone that is Melbourne’s Western Ring Road, I attempt to fight my way back to the eastern suburbs. Seeking a helping hand in the braking department, I flick on the retarder switch and again I’m surprised by the effectiveness of the Jacobs C-brake two-stage retarder. Where I was expecting just an asthmatic wheeze and little else, I get a muted rumble from the exhaust and an immediate slowing of the vehicle. The quietly effective engine brake is used sparingly for the rest of the journey, given the wet conditions, but when called upon performed exceptionally well. As we descend into the Burnley tunnel, with its peak traffic speed limit of 60km/h, a combination of engine brake and light stabbing of the service brakes are all that is needed to keep the Kenworth at a safe, legal velocity. Then, as we start the long pull up out of the tunnel, the gutsy little Cummins digs in admirably, holding 11th gear all the way down to 1,200rpm before admitting defeat and dropping to ninth near the top of the grade. With peak torque of 1,040ft-lb being generated at 1,300rpm, the ISL Cummins showed its mettle, emanating a drivetrain rumble in the cab reminiscent of a 15 litre engine as the Kenworth clawed its way out of the tunnel. Brown, when asked whether he prefers a gearstick at hand or the auto, he quickly states his preference for the auto: "It may not do everything right all of the time, but it’s the way of the future, that’s for sure". Back at the yard in Mount Waverley, I ask transport manager Rob English about the fuel figures so far. With less than 4,000km on the clock, the T359 is achieving economy in the vicinity of 2.41km/l and using 25 litres of AdBlue per week, with the vehicle averaging around 1,500km a week. Given that the engine is still virtually brand new, English is pleased with the figures so far, while it’s lagging behind the previous Cat-powered T300 which averaged 2.81km/l. English feels that once the engine gets a few kilometres on it, these figures will only improve. When quizzed about the move to SCR technology, he remarks: "It’s where everything is headed, so we may as well get a handle on it now." Overall, English is happy with the vehicle, having specced it up himself and designed the smart graphics. Additional bling in the form of checker-plate and tool boxes as well as the PTO hydraulics were fitted by Custom Transport Equipment in Drouin, Victoria. After driving the finished product, I can’t help but agree with Rob English that it’s a neat unit. Cute it may be, but it’s one little truck that is definitely punching above its weight.